Between 9 May 2018 and 4 June 2018, seven indigenous leaders and human rights defenders were killed in Guatemala. All were working to protect their ancestral lands from exploitation by national and international companies involved in the energy industry. Luis Marroquín, Florencio Pérez, Alejandro Hernández, Francisco Munguía and Juan Xol Can were active members of the Farmers’ Development Committee (Comité de Desarrollo Campesino – CODECA), a human rights organisation of indigenous farmers dedicated to promoting land rights and rural development for indigenous families in Guatemala through social participation, advocacy on public policy, and participation in inclusive programs to reduce indigenous communities’ vulnerability. CODECA has been critical of the energy company Energuate, especially the lack of equal distribution of electric power in Guatemala after the privatization of this public service, which severely impacts campesino and indigenous communities in rural areas. The human rights defenders had been advocating for the nationalisation of electric power distribution through collective and permanent measures. Ramón Choc and Mateo Chamam were members of Farmer’s Committee of the Highlands (Comité Campesino del Altiplano - CCDA), an organisation that promotes the development of campesino communities in Guatemala to increase their standard of living through programmes aimed at creating equality and at increasing participation in social, economic, cultural, and political processes. CCDA has opposed and denounced the advances of landowners on indigenous territories and demands better policies in favour of rural development. In 2017 CCDA reported 12 forced displacements of indigenous and campesino families from their land. All the defenders were indigenous and working for land rights against the presence and/or threats of companies and landowners, and all the killings (with the exception of that of Luis Marroquín) took place in rural areas. The perpetrators have not been identified and the human rights defenders’ families fear that they will not see justice. 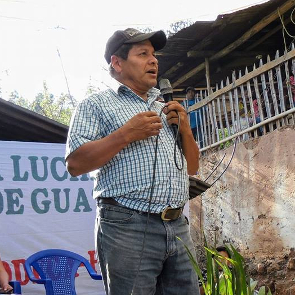 In the days after a public rally on 2 May 2018 where Guatemalan president Jimmy Morales referred to CODECA as a criminal organisation, human rights defenders from the organisation began being targeted and killed. Energuate has being carrying out smear campaigns against CODECA for a decade, singling out certain members as “local enemies” of development. 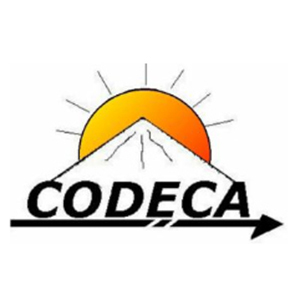 Over the past seven years, Energuate and EEGSA (Empresa Eléctrica de Guatemala S.A – which is part of a Colombian consortium) filed several unsuccessful criminal complaints against CODECA members. Former Guatemalan president, Otto Pérez Molina, has repeatedly referred to CODECA as a social cancer. In 2012, he created a special department in the Prosecutor’s Office, which went on to systematically criminalise CODECA members by falsely charging them with stealing electric fluid. In Guatemala, few attacks against human rights defenders are investigated and even fewer result in convictions. The climate of impunity regarding human rights violations increases the risk to human rights defenders, especially those who live in remote areas, who are more vulnerable to attacks. Human rights defenders operate in an extremely hostile environment in in the country, with 483 attacks against them recorded in 2017 by local NGOs, (1) the majority of these incidents involved indigenous and land rights defenders. Front Line Defenders strongly condemns the killing of human rights defenders Luis Arturo Marroquín, Florencio Pérez, Alejandro Hernández, Francisco Munguía, Juan Xol Can, Ramón Choc and Mateo Chamam, as it believes that their killings are linked to their legitimate human rights work. Front Line Defenders expresses further concern for the criminalisation, killings, attacks and smear campaigns against CODECA and CCDA members. We call on the Guatemalan authorities to stop the criminalisation and smear campaigns against CODECA and CCDA members, and carry out an immediate, thorough and impartial investigation into the recent killings, with a view to bringing the perpetrators to justice in accordance with international standards. We also call on the authorities to guarantee in all circumstances that all human rights defenders in Guatemala are able to carry out their legitimate human rights activities without fear of reprisals and free of all restrictions.